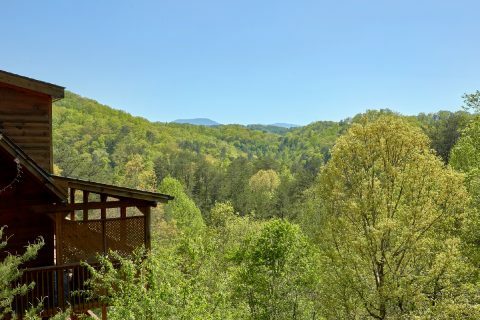 Come experience "Memory Maker" in the beautiful Smoky Mountains of Tennessee! 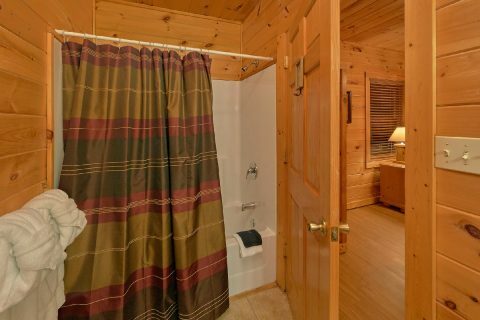 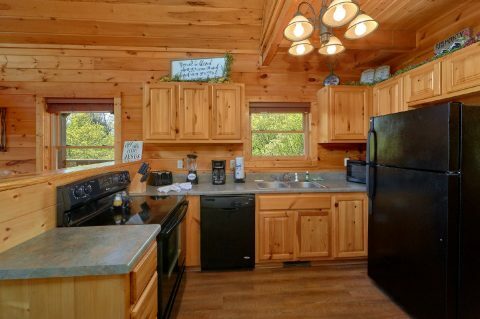 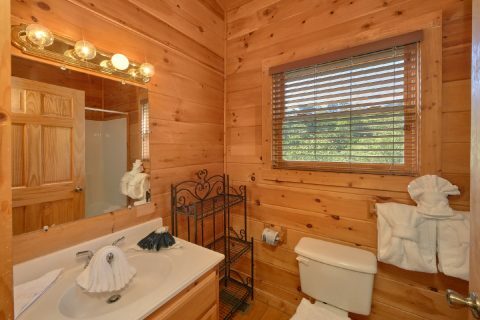 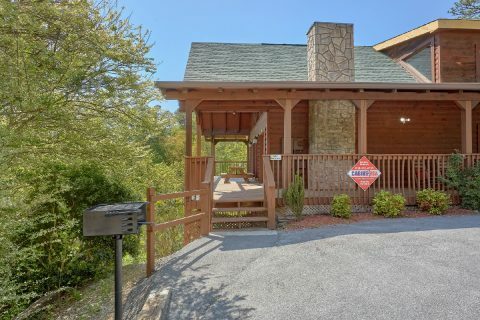 This inviting 3-bedroom cabin rental boasts a great location near Pigeon Forge and Dollywood in the scenic Upper Middle Creek Road area. 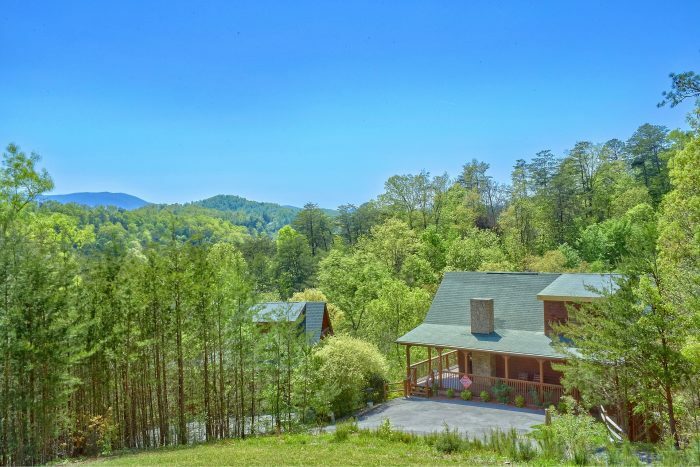 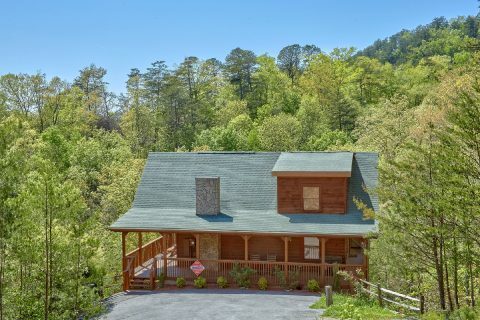 In addition to providing guests with a lovely mountain view, this cabin rental also keeps you less than 4 miles from the exciting Pigeon Forge Parkway, where you'll find dozens of shops, restaurants, and attractions like The Island. 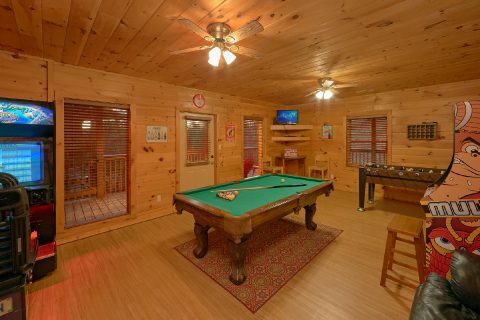 This cabin also provides convenient access to Dollywood Theme Park, which is famous for its live performances and world-class roller coasters. 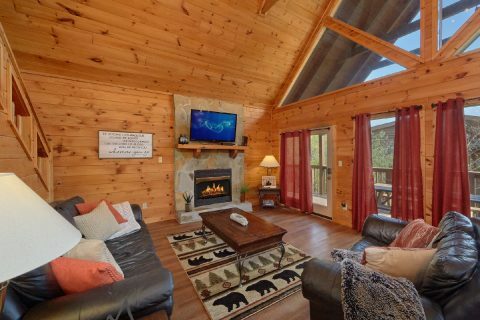 After a great day spent hiking in the Smoky Mountains National Park or riding thrilling coasters at Dollywood, you'll love unwinding at this cozy cabin that's close to it all. 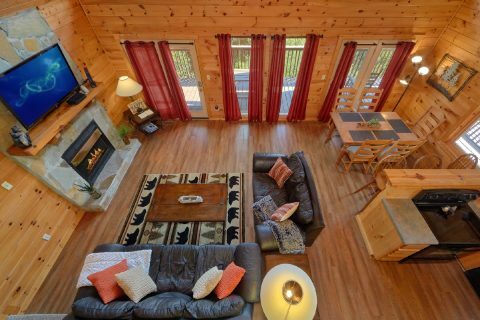 In the welcoming main living area, you can enjoy relaxing with friends and family around the warm gas fireplace with a television on the mantel. 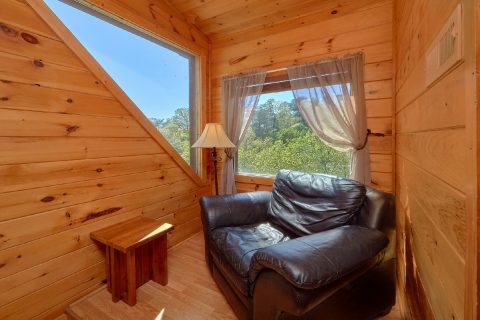 This room also features large windows to let in plenty of natural light. 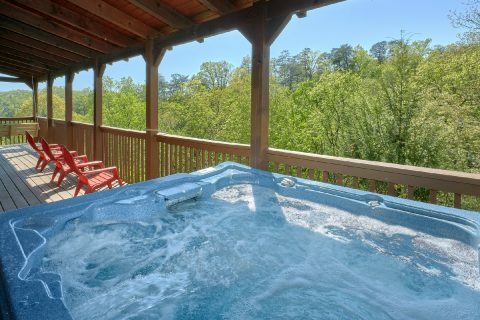 From here, you can step outside onto your cabin's deck to take a dip in the warm waters of the hot tub or you can just sit outside and enjoy the lovely mountain view. 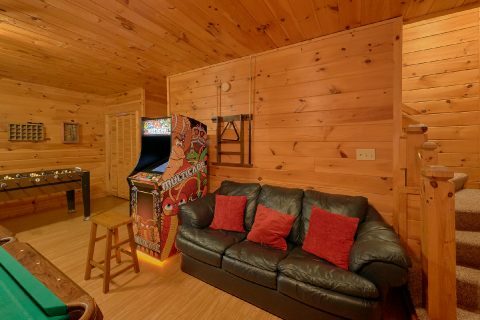 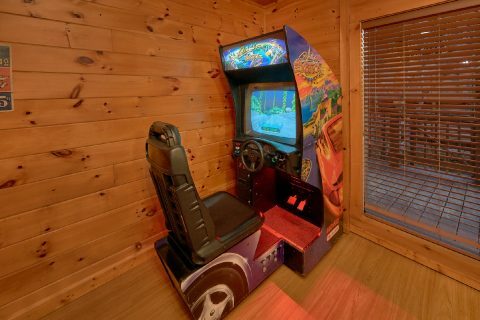 For some in-cabin entertainment, you can always head down to the lower level game room that features a pool table, a race car driving game, foosball, and an arcade game. 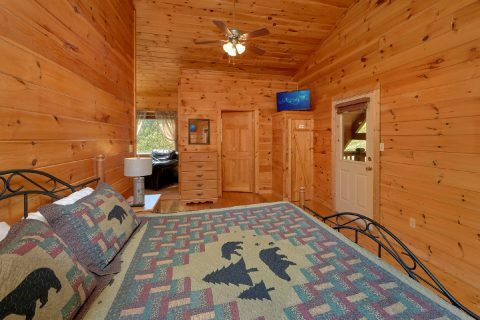 You can stay well-rested on your trip with this cabin's 3 bedrooms. 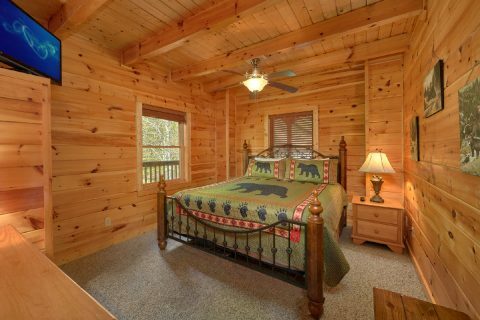 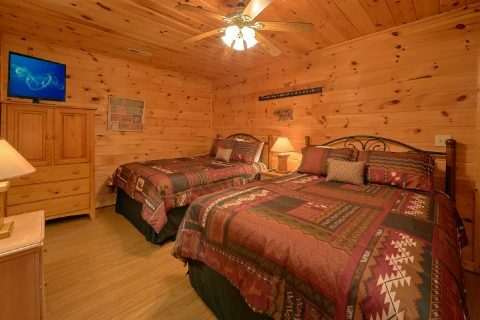 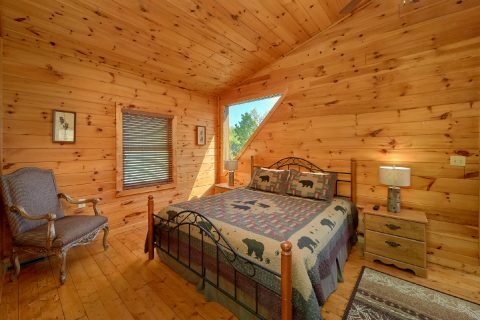 With a king bedroom on the main level, a king bedroom on the upper floor, a lower level bedroom with two queen beds, and a sleeper sofa in the living room, this cabin can easily sleep up to 10 guests in comfort. 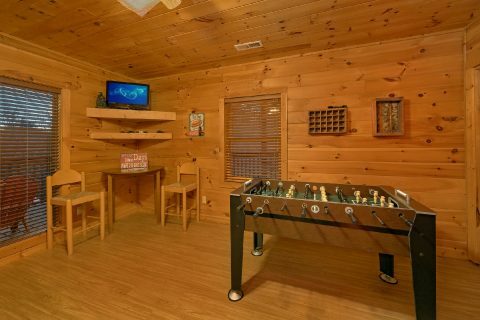 Additionally, "Memory Maker" also boasts practical amenities like WiFi Internet, a full kitchen, a washer/dryer, and a charcoal grill to use during your stay. 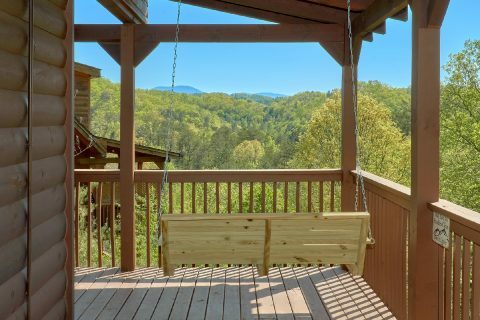 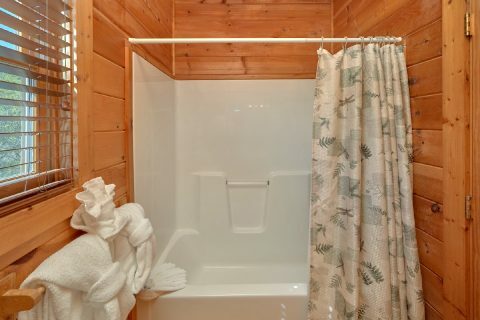 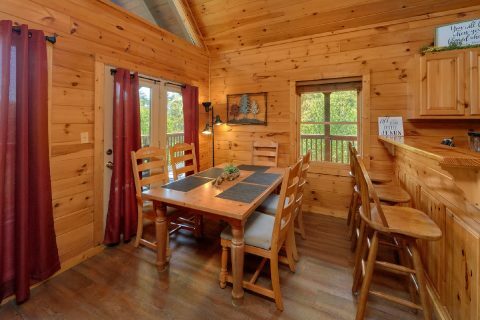 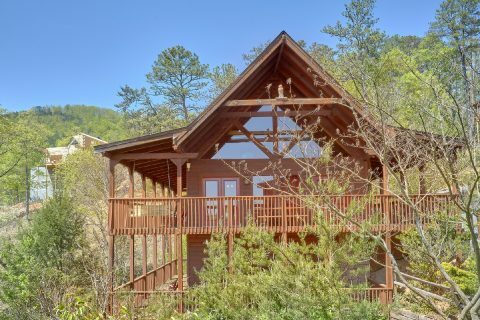 This cabin even has a trail to a small creek that runs through the property, so this rental is perfect for guests who want to enjoy the lovely natural scenery of the Smokies.